Flat feet can lead to extreme stress or inflammation of the plantar fascia, possibly causing severe discomfort and leading to other foot problems. Without properly supported arches, simple movement can pull your body out of alignment and cause stress, strain and fatigue to your lower body. Abnormal development of the foot, producing Pes Planus, may be due to neurological problems, eg cerebral palsy, polio. Bony or ligamentous abnormalities, eg tarsal coalition (fusion of tarsal bones), accessory navicular bone. A small proportion of flexible flat feet do not correct with growth. Some of these may become rigid if the Pes Planus leads to bony changes. Pain and stiffness of the medial arch or anywhere along the mid-portion of the foot. Associated discomfort within and near the ankle joint. The knees, hips, and lower back may be the primary source of discomfort. Feet may often feel tired and achy. Painful shin splints may develop with activity. Gait may be awkward. Determining whether you have fallen arches may be as easy as looking at the shape of the middle bottom of your foot. Is there any kind of arch there? If you cannot find any kind of arch, you may have a flat foot. There are, however, other ways to decide in case you're still not sure. Another way to figure out if you have flat feet is to look at a few pairs of your shoes. Where do you see the most wear on the heels? If you notice significant wear in the heel and the ball of the foot extending to the big toe, this means you are overpronating. Overpronators roll their feet too far inward and commonly have fallen arches. To figure out if you have flat feet, you can also do an easy test. Get the bottoms of your feet wet and then step on to a piece of paper carefully. Step off the paper and take a look at the print your foot made. If your print looks like the entire bottom of a foot, your feet are flat. People with an arch will be missing part of the foot on their print since the arch is elevated off of the paper. Regular visits to your podiatrist are highly recommended. Surgery for flat feet is separated into three kinds: soft tissue procedures, bone cuts, and bone fusions. Depending on the severity of the flat foot, a person?s age, and whether or not the foot is stiff determines just how the foot can be fixed. In most cases a combination of procedures are performed. With flexible flat feet, surgery is geared at maintaining the motion of the foot and recreating the arch. Commonly this may involve tendon repairs along the inside of the foot to reinforce the main tendon that lifts the arch. When the bone collapse is significant, bone procedures are included to physically rebuild the arch, and realign the heel. The presence of bunions with flat feet is often contributing to the collapse and in most situations requires correction. With rigid flat feet, surgery is focused on restoring the shape of the foot through procedures that eliminate motion. In this case, motion does not exist pre-operatively, so realigning the foot is of utmost importance. The exception, are rigid flat feet due to tarsal coalition (fused segment of bone) in the back of the foot where freeing the blockage can restore function. Have you noticed that your pants always fit a little weird or that you are always leaning to one leg when standing for awhile? If so, one of your legs may be longer than the other. This is known as a leg length discrepancy. There are two main reasons for a leg length discrepancy. One reason is that one of your leg bones (tibia or femur) is longer on one side. This is referred to as a true leg length discrepancy because the actual length of your bones is different. A second reason is that your pelvic bone may be rotated on one side making it appear that one leg is longer than the other. This is referred to as an apparent leg length discrepancy because the actual length of your leg bones is not different. In order to figure out if you have a true or apparent leg length discrepancy, your doctor may take an x-ray to measure the length of your leg bones or a simple measurement from your belly button to your ankle can help determine the reason. Over time, the leg length difference can cause stress on your low back, hips and knees, which may cause pain or discomfort. The most common solution to rectify the difference in your leg lengths is to compensate for the short fall in your shortest leg, thereby making both of your legs structurally the same length. Surgery is a drastic option and extremely rare, mainly because the results are not guaranteed aswell as the risks associated with surgery, not to mention the inconvenience of waiting until your broken bones are healed. Instead, orthopediatrician's will almost always advise on the use of "heel lifts for leg length discrepancy". These are a quick, simple and costs effective solution. They sit under your heel, inside your shoe and elevate your shorter leg by the same amount as the discrepancy. 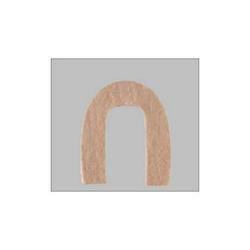 Most heel lifts are adjustable and come in a range of sizes. Such lifts can instantly correct a leg length discrepancy and prevent the cause of associate risks. Surgical operations to equalize leg lengths include the following. Shortening the longer leg. This is usually done if growth is already complete, and the patient is tall enough that losing an inch is not a problem. Slowing or stopping the growth of the longer leg. Growth of the lower limbs take place mainly in the epiphyseal plates (growth plates) of the lower femur and upper tibia and fibula. Stapling the growth plates in a child for a few years theoretically will stop growth for the period, and when the staples were removed, growth was supposed to resume. This procedure was quite popular till it was found that the amount of growth retarded was not certain, and when the staples where removed, the bone failed to resume its growth. Hence epiphyseal stapling has now been abandoned for the more reliable Epiphyseodesis. By use of modern fluoroscopic equipment, the surgeon can visualize the growth plate, and by making small incisions and using multiple drillings, the growth plate of the lower femur and/or upper tibia and fibula can be ablated. Since growth is stopped permanently by this procedure, the timing of the operation is crucial. This is probably the most commonly done procedure for correcting leg length discrepancy. But there is one limitation. The maximum amount of discrepancy that can be corrected by Epiphyseodesis is 5 cm. Lengthening the short leg. Various procedures have been done over the years to effect this result. External fixation devices are usually needed to hold the bone that is being lengthened. In the past, the bone to be lengthened was cut, and using the external fixation device, the leg was stretched out gradually over weeks. A gap in the bone was thus created, and a second operation was needed to place a bone block in the gap for stability and induce healing as a graft. More recently, a new technique called callotasis is being use. The bone to be lengthened is not cut completely, only partially and called a corticotomy. The bone is then distracted over an external device (usually an Ilizarov or Orthofix apparatus) very slowly so that bone healing is proceeding as the lengthening is being done. This avoids the need for a second procedure to insert bone graft. The procedure involved in leg lengthening is complicated, and fraught with risks. Theoretically, there is no limit to how much lengthening one can obtain, although the more ambitious one is, the higher the complication rate. Heel pain is a very common foot complaint and may involve injury to the bone, fat pad, ligaments, tendons or muscles. Heel pain can also be referred by a pinched nerve in your lower back. It is important to have your heel pain thoroughly assessed to ensure an accurate diagnosis and subsequent treatment. Anyone can suffer from heel pain, but certain groups seem to be at increased risk, including middle aged men and women, active people eg running sports, people who are very overweight, children aged between 8 and 13 years, pregnant women, people who stand for long periods of time. Heel pain is most often the result of overuse. Rarely, it may be caused by an injury. Your heel may become tender or swollen from shoes with poor support or shock absorption, running on hard surfaces, like concrete, running too often, tightness in your calf muscle or the Achilles tendon. Sudden inward or outward turning of your heel, landing hard or awkwardly on the heel. Conditions that may cause heel pain include when the tendon that connects the back of your leg to your heel becomes swollen and painful near the bottom of the foot, swelling of the fluid-filled sac (bursa) at the back of the heel bone under the Achilles tendon (bursitis). Bone spurs in the heel. Swelling of the thick band of tissue on the bottom of your foot (plantar fasciitis). Fracture of the heel bone that is related to landing very hard on your heel from a fall (calcaneus fracture). The primary symptom is pain in the heel area that varies in severity and location. The pain is commonly intense when getting out of bed or a chair. The pain often lessens when walking. A biomechanical exam by your podiatrist will help reveal these abnormalities and in turn resolve the cause of plantar fasciitis. By addressing this cause, the patient can be offered a podiatric long-term solution to his problem. The following steps may help relieve your heel pain. Use crutches to take weight off your feet. Rest as much as possible for at least a week. Apply ice to the painful area. Do this at least twice a day for 10 to 15 minutes, more often in the first couple of days. Take acetaminophen or ibuprofen for pain. Wear proper-fitting shoes. Use a heel cup, felt pads in the heel area, or shoe insert. Wear night splints. Your doctor may recommend other treatments, depending on the cause of your heel pain. You can reduce the risk of heel pain in many ways, including. Wear shoes that fit you properly with a firm fastening, such as laces. Choose shoes with shock-absorbent soles and supportive heels. Repair or throw out any shoes that have worn heels. Always warm up and cool down when exercising or playing sport, include plenty of slow, sustained stretches. If necessary, your podiatrist will show you how to tape or strap your feet to help support the muscles and ligaments. Shoe inserts (orthoses) professionally fitted by your podiatrist can help support your feet in the long term. A neuroma is a painful condition, also referred to as a ?pinched nerve? or a nerve tumor. It is a benign growth of nerve tissue frequently found between the third and fourth toes. It brings on pain, a burning sensation, tingling, or numbness between the toes and in the ball of the foot. The principal symptom associated with a neuroma is pain between the toes while walking. Those suffering from the condition often find relief by stopping their walk, taking off their shoe, and rubbing the affected area. At times, the patient will describe the pain as similar to having a stone in his or her shoe. The vast majority of people who develop neuromas are women. Morton's neuroma is an inflammation caused by a buildup of fibrous tissue on the outer coating of nerves. This fibrous buildup is a reaction to the irritation resulting from nearby bones and ligaments rubbing against the nerves. Irritation can be caused by wearing shoes that are too tight, wearing shoes that place the foot in an awkward position, such as high heels, a foot that is mechanically unstable, repetitive trauma to the foot such as from sports activities like tennis, basketball, and running. Trauma to the foot caused by an injury such as a sprain or fracture. It is unusual for more than one Morton's neuroma to occur on one foot at the same time. It is rare for Morton's neuroma to occur on both feet at the same time. While the condition may at first only appear during heavy repetitive stress or when wearing particular shoes which aggravate the foot, the Neuroma can become increasingly inflamed and produce more constant discomfort, lasting days or weeks. Runners may experience pain pushing off from starting blocks. Tight or narrow shoes as well as high heels likewise aggravate the Neuroma. A checklist of symptoms includes burning pain, occasionally numbness in the ball of the foot. Radiating pain from the ball of the foot to the toes. Intensifying pain during activity and when wearing shoes. Occasional numbness, discomfort, tingling or ?electrical shock sensation? in the toes. Pain between the third and fourth toes, often occurring from the outer side of one toe to the inner side of the adjoining toe. Pain upon leaving the starting blocks in running sports. Plain x-rays of the foot may demonstrate that one or more of the metatarsals are long (Figure #5). 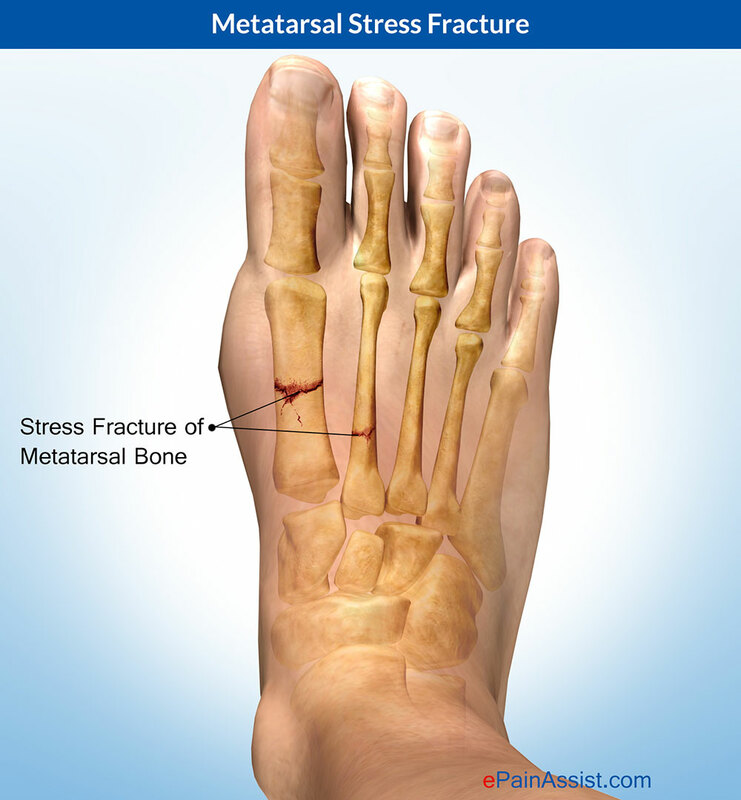 Not uncommonly, the second and/or third metatarsal may be long relative to the third or fourth. This can create a situation where excessive load is occurring in and around the vicinity of the interdigital nerve. Initial therapies are nonsurgical and can involve one or more of the following treatments Changes in footwear. Avoid high heels or tight shoes, and wear wider shoes with lower heels and a soft sole. This enables the bones to spread out and may reduce pressure on the nerve, giving it time to heal. Custom shoe inserts and pads also help relieve irritation by lifting and separating the bones, reducing the pressure on the nerve. One or more injections of a corticosteroid medication can reduce the swelling and inflammation of the nerve, bringing some relief. Massaging the affected area can provide some momentary relief. Several studies have shown that a combination of roomier, more comfortable shoes, nonsteroidal anti-inflammatory medication, custom foot orthoses and cortisone injections provide relief in over 80 percent of people with Morton?s Neuroma. If conservative treatment does not relieve your symptoms, your physician may discuss surgical treatment options with you. There are not one but two unique variations of leg length discrepancies, congenital and acquired. Congenital means you are born with it. One leg is anatomically shorter compared to the other. Through developmental stages of aging, the brain senses the stride pattern and identifies some variation. Your body typically adapts by tilting one shoulder to the "short" side. A difference of less than a quarter inch is not grossly uncommon, demand Shoe Lifts to compensate and ordinarily does not have a profound effect over a lifetime. Leg length inequality goes largely undiscovered on a daily basis, yet this issue is easily corrected, and can reduce quite a few incidents of back problems. Treatment for leg length inequality commonly consists of Shoe Lifts . They are cost-effective, usually being below twenty dollars, in comparison to a custom orthotic of $200 if not more. Differences over a quarter inch can take their toll on the spine and should probably be compensated for with a heel lift. In some cases, the shortage can be so extreme that it requires a full lift to both the heel and sole of the shoe. Chronic back pain is easily the most common health problem affecting people today. Around 80 million men and women experience back pain at some point in their life. It is a problem that costs businesses huge amounts of money every year as a result of time lost and productivity. Fresh and better treatment methods are always sought after in the hope of lowering economic influence this issue causes. People from all corners of the earth suffer from foot ache as a result of leg length discrepancy. 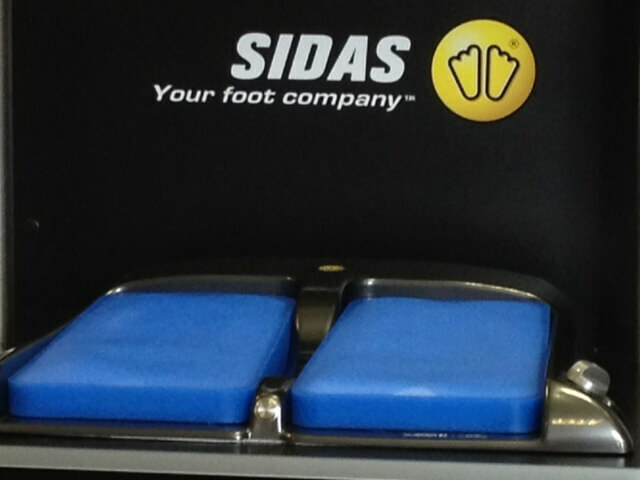 In most of these cases Shoe Lifts might be of beneficial. The lifts are capable of reducing any pain and discomfort in the feet. Shoe Lifts are recommended by many skilled orthopaedic physicians. So that you can support the human body in a balanced fashion, the feet have a significant role to play. Inspite of that, it can be the most overlooked zone in the human body. Many people have flat-feet which means there is unequal force placed on the feet. This causes other parts of the body including knees, ankles and backs to be impacted too. Shoe Lifts make sure that correct posture and balance are restored. Heel Spurs develop when the plantar fascia is excessively and repetitively pulled away from the heel bone. In many cases, a heel spur can develop along with plantar fasciitis, but can also occur by itself. Heel spurs often develop in middle-aged patients, but can also occur in younger people as well. Athletes are especially prone to heel spur due to the regular stress on their heels. Symptoms may be similar to those of plantar fasciitis and include pain and tenderness at the base of the heel, pain on weight bearing and in severe cases difficulty walking. The main diagnosis of a heel spur is made by X-ray where a bony growth on the heel can be seen. A heel spur can occur without any symptoms at all and the athlete would never know they have the bony growth on the heel. Likewise, Plantar fasciitis can occur without the bone growth present. Acupuncture and acupressure can used to address the pain of heel spurs, in addition to using friction massage to help break up scar tissue and delay the onset of bony formations. Physical therapy may help relieve pain and improve movement. The Feldenkrais method could be especially helpful for retraining some of the compensation movements caused by the pain from the spur. Guided imagery or a light massage on the foot may help to relieve some of the pain. Other treatments include low-gear cycling, and pool running. Some chiropractors approve of moderate use of aspirin or ibuprofen, or other appropriate anti-inflammatory drugs. Chiropractic manipulation is not recommended, although chiropractors may offer custom-fitted shoe orthotics and other allopathic-type treatments. Have surgery if no other treatments work. Before performing surgery, doctors usually give home treatments and improved footwear about a year to work. When nothing else eases the pain, here's what you need to know about surgical options. Instep plantar fasciotomy. Doctors remove part of the plantar fascia to ease pressure on the nerves in your foot. Endoscopy. This surgery performs the same function as an instep plantar fasciotomy but uses smaller incisions so that you'll heal faster. However, endoscopy has a higher rate of nerve damage, so consider this before you opt for this option. Be prepared to wear a below-the-knee walking cast to ease the pain of surgery and to speed the healing process. These casts, or "boots," usually work better than crutches to speed up your recovery time. If you suffer from heel pain, you know that it affects every step you take. And by the time you take off your shoes in the evening, your feet are really suffering. The pain you?re feeling could be caused by heel bone spurs. Heel bone spurs are common in people who walk, stand or run on hard surfaces such as concrete or tile floors-and that?s most of us! This kind of frequent, intense impact on hard surfaces overstretches and can even tear the ligaments on the bottom of the foot, a condition known as plantar fasciitis. In extreme cases, these ligaments begin to pull away from the bone. Heel bone spurs are created because of this injury to the foot. They are not painful by themselves, but they do irritate surrounding tissues, which causes heel pain. The main cause of heel spur is calcium deposit under the heel bone. Building of calcium deposits can take place over several months. Heel spurs happens because of stress on the foot ligaments and muscles and continuous tearing of the membrane covering the heel bone. It also happens due to continuous stretching the plantar fascia. Heel spurs are mostly seen in case of athletes who has to do lots of jumping and running. The risk factors that may lead to heel spurs include aormalities in walking which place too much stress on the heel bone, nerves in the heel and ligaments. Poorly fitted shoes without the right arch support. Jogging and running on hard surfaces. Excess weight. Older age. Diabetes. Standing for a longer duration. The following symptoms are typical of heel spur. 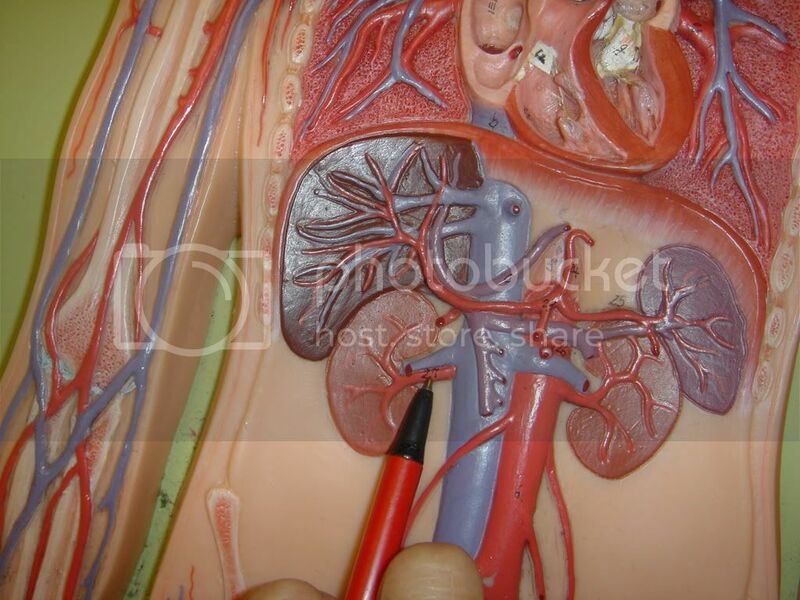 Stabbing pain when treading on the area affected. Dull, irregularly occurring pains in the heel area also without exerting pressure (e.g. in a reclining position) Pain when taking the first steps in the morning (after lying or sitting down for an extended period, especially in the morning) Occasional swelling in the ankle area. For the lower heel spur, extreme sensitivity at the tendon attachment (laterally in the lower heel area) For the upper heel spur, extreme pressure sensitivity of the Achilles tendon, primarily at approximately ankle height. Heel spurs and plantar fasciitis are diagnosed based on the history of pain and tenderness localized to these areas. They are specifically identified when there is point tenderness at the bottom of the heel, which makes it difficult to walk barefoot on tile or wood floors. X-ray examination of the foot is used to identify the bony prominence (spur) of the heel bone (calcaneus). A conventional treatment for a heel spur is a steroid injection. This treatment, however, isn?t always effective because of the many structures in the heel, making it a difficult place for an injection. If this treatment goes wrong, it can make the original symptoms even worse. Another interesting means of treatment is Cryoultrasound, an innovative electromedical device that utilizes the combination of two therapeutic techniques: cryotherapy and ultrasound therapy. Treatments with Cryoultrasound accelerate the healing process by interrupting the cycle and pain and spasms. This form of therapy increases blood circulation and cell metabolism; it stimulates toxin elimination and is supposed to speed up recovery. Usually, heel spurs are curable with conservative treatment. If not, heel spurs are curable with surgery, although there is the possibility of them growing back. About 10% of those who continue to see a physician for plantar fascitis have it for more than a year. If there is limited success after approximately one year of conservative treatment, patients are often advised to have surgery. The foot only contains one naturally occurring bursal sac between the Achilles tendon and the heel bone, which protects the Achilles from the pressure against the heel bone during ambulation. However, shoes may put pressure on this bursa. The bursa might also incur trauma from walking on hard ground. And, though they are not naturally occurring, bursa sacs can also form, and become inflamed, in other parts of the foot, including the bottom of the heel, and the metatarsal plate, the outside of the foot below the fifth toe, and so on. The most common causative organism is Staphylococcus aureus (80% of cases), followed by streptococci. However, many other organisms have been implicated in septic bursitis, including mycobacteria (both tuberculous and nontuberculous strains), fungi (Candida), and algae (Prototheca wickerhamii). Factors predisposing to infection include diabetes mellitus, steroid therapy, uremia, alcoholism, skin disease, and trauma. A history of noninfectious inflammation of the bursa also increases the risk of septic bursitis. Symptoms of Achilles bursitis are often mistaken for Achilles tendinitis because of the location of the pain at the back of the heel. When you suffer from Achilles bursitis you will experience some or all of the following symptoms which are most noticeable when you begin activity after resting. High heels can add pressure on the retrocalcaneal bursa, subcutaneous calcaneal bursa, and Achilles tendon. Diagnosis of heel bursitis can be made by your health practitioner and is based on the following. Assessing the location of the pain by palpating the back of the heel. Assessment of any inflammation at the back of the heel. Assessment of biomechanics and foot function. Ultrasound or MRI can reveal inflammation of the retro calcaneal bursa. With anterior and posterior Achilles tendon bursitis, applying warm or cool compresses to the area and using nonsteroidal anti-inflammatory drugs (NSAIDs) can temporarily relieve the pain and inflammation, as can injections of a corticosteroid/anesthetic mixture into the inflamed bursa. The doctor is careful not to inject the mixture into the tendon. After this treatment, the person should rest. When these treatments are not effective, part of the heel bone may need to be surgically removed. hammertoes is a condition which causes one or more of the smaller toes to become bent upwards. The toe can be straightened but if ignored may become a permanent deformity. Each of the 4 smaller toes consist of 3 bones called phalanges, forming two interphalangeal joints. The toe bends at the proximal or first interphalangeal joint. Initially it can be straightened, but if left untreated, this can become a permanent deformity. Certain risk factors increase your likelihood of developing a hammertoe. These include a family history of hammertoes, wearing tight or pointy-toed shoes, wearing shoes that are too small, having calluses, bunions, or corns (thickened layers of skin caused by prolonged/repeated friction) Wearing shoes that are too small can force Hammer toe the joint of your toes into a dislocated position. This makes it impossible for your muscles to stretch out. Over time, the practice of wearing improperly fitting shoes increases your risk of developing hammertoes, blisters, bunions, and corns. If the affected toe is still flexible, you may be able to treat it by taping or splinting the toe to hold it straight. Your family doctor can show you how to do this. You may also try corrective footwear, corn pads and other devices to reduce pain. You may need to do certain exercises to keep your toe joints flexible. For example, you may need to move and stretch your toe gently with your hands. You can also exercise by picking things up with your toes. Small or soft objects, such as marbles or towels, work best. If your hammer toe becomes painful, you may need to apply an ice pack several times a day. This can help relieve the soreness and swelling. Nonsteroidal anti-inflammatory medicines (also called NSAIDs), such as ibuprofen (two brand names: Advil, Motrin) or naproxen (one brand name: Aleve), may be helpful. If your pain and swelling are severe, your doctor may need to give you a steroid injection in the toe joint. Surgical Options: Several surgical procedures are available to the podiatric physician. For less severe deformities, the surgery will remove the bony prominence and restore normal alignment of the toe joint, thus relieving pain. Severe hammer toes, which are not fully reducible, may require more complex surgical procedures. Recuperation takes time, and some swelling and discomfort are common for several weeks following surgery. Any pain, however, is easily managed with medications prescribed by your podiatrist. A hammertoes is commonly mistaken as any type of toe deformity. The terms claw toe, or mallet toe, although technically different than a hammer toe, are commonly referred as such. The toe may be flexible with movement at the joints, or it may be rigid, especially if it has been present for a long time. With a true hammertoe the deformity exists at the proximal interphalangeal joint only. Treatment options for a hammertoe are based on the severity Hammer toe of the condition. A hammertoe caused by inappropriate footwear can be corrected by wearing properly fitting shoes. If a high arch caused the condition, wearing toe pads or insoles in your shoes can help. These pads work by shifting your toe?s position, which relieves pain and corrects the appearance of your toe. As you get older, feet get bigger. Get your feet measured every time you buy shoes. Don't go by shoe sizes. Shoe sizes vary among manufacturers; a shoe is the right size only when it fits comfortably. The ball of your foot should fit into the widest part of the shoe. A shoe should be sturdy such that it only bends in the ball of the foot, exactly where your big toes bend. Any shoe that can be bent anywhere along the sole or twisted side to side is generally too flimsy.